Click on the city or region below for information about hotels, restaurants, things to do, places to see, and other travel information. One of the most beautiful places in the world is Provence in the South of France. Wine, beautiful scenery, wonderfully polite people, and the best food in the world await you. 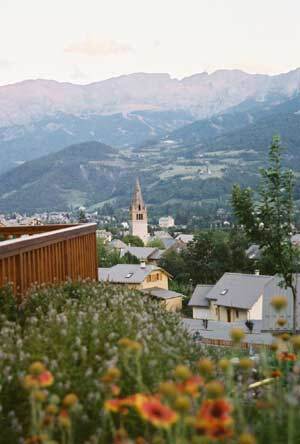 The Galago recommends the little town of Barcelonette, near the Italian border. Here's a picture of the valley surrounding Barcelonette. 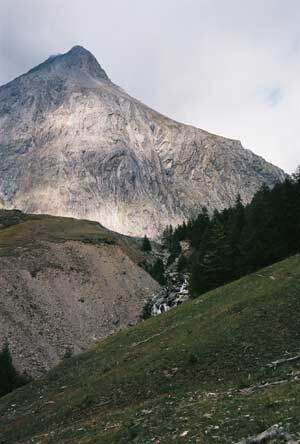 Just to the east and north of Barcelonette lies the French Alps. You can ski, hike, and explore some of the most beautiful mountain rivers and meadows you will find. Here's a picture. 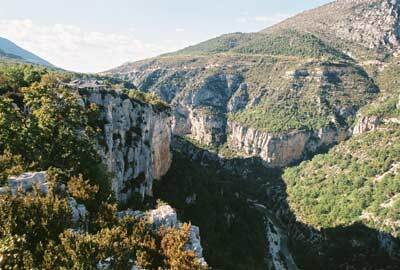 Southeast of Barcelonette, you will find the Green Gorge, which is France's version of the Grand Canyon, only more beautiful because it is covered in foliage. 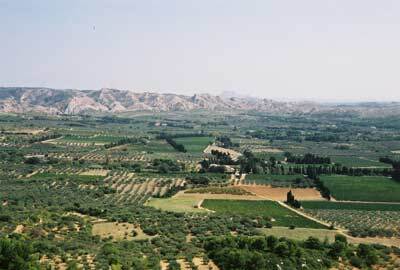 France is famous for wine, and Provence's Cotes du Rhone is no exception. Beautiful vineyards and fabulous restaurants await you. If you can, visit Les Baux, and eat at one of the amazing restaurants on top of the hill. That's where the Galago took this picture.